This Week’s Question: What Is Aphelion? On July 3, 2017, Earth will be at aphelion, the point of orbit where Earth is farthest from the sun. So why is it so hot? Visit the link to learn more about the mechanics of Earth’s orbit, tilt and seasons. Harness the energy of the sun to Make Sun S’mores! Check out this activity from Climate Kids to build a solar oven and make a tasty treat. Less Than Eight Weeks Until the Total Solar Eclipse! Do you wonder what the solar eclipse will look like from your location? Download the NASA Eyes on the Eclipse application to find out! 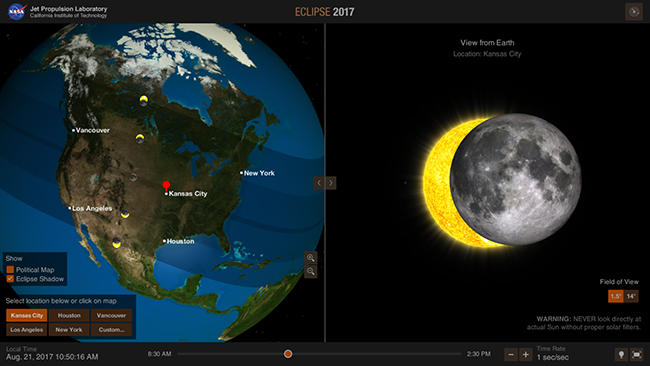 This interactive, web-based 3-D simulation lets you click anywhere on Earth to preview the Aug. 21, 2017 total eclipse. Are you ready for a challenge? Become a geographical detective and solve the latest mystery quiz from NASA’s MISR (Multi-angle Imaging SpectroRadiometer) instrument on board the Terra satellite. The quiz asks nine multiple-choice questions (one question for each of MISR’s nine cameras) about the area seen in the mystery image. Online research is allowed. If all questions are answered correctly, you will have a chance to enter for a prize. Prize submissions for perfect scores will be accepted until Wednesday, June 28, at 4 p.m. PDT. Happy sleuthing! Take the quiz here: http://climate.nasa.gov/quizzes/misr_quiz_29. To learn more about the MISR instrument, visit https://misr.jpl.nasa.gov/. Please direct questions about this quiz to Abigail Nastan at Abigail.M.Nastan@jpl.nasa.gov. On Aug. 21, 2017, the United States will experience a solar eclipse. This event will provide an excellent opportunity to engage and educate diverse audiences, and NASA has the resources to help. Join the Office of Education at NASA’s Glenn Research Center in Cleveland, Ohio, for a STEM educator workshop on July 25, 2017. Participants will be introduced to problem-based-inquiry learning activities related to the solar eclipse. Learn how to bring STEM challenges and the adventure of space exploration to students in the classroom. For full event details and registration information, visit https://www.eiseverywhere.com/ehome/index.php?eventid=237940&. Please direct questions about this workshop to Stephanie Brown-Houston at sdbrown-houston@nasa.gov. The Thermal and Fluids Analysis Workshop encourages knowledge sharing, professional development, and networking throughout the thermal and fluids engineering community within NASA, academia and the aerospace community at large. STEM faculty and university students are encouraged to attend, take free training, or do a combination thereof. Registration to attend the workshop is free. For more information, visit https://tfaws.nasa.gov/. This Week’s Question: Is Mars Really Red? The MAVEN spacecraft has been orbiting Mars for more than 1,000 days! Read this feature to learn about MAVEN’s Top 10 Discoveries at Mars. T-minus Two Months Until the Total Solar Eclipse! Get ready to count down the days with Solar Eclipse Math! 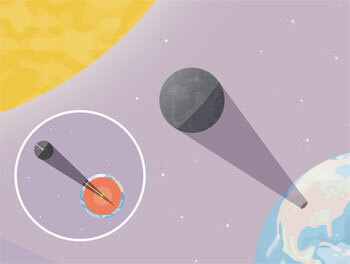 In this illustrated NASA mathematics challenge, students use pi to calculate the area of Earth that will be covered by the moon’s shadow during the Aug. 21 total solar eclipse! Includes a free poster! Join NASA, other federal agencies and science organizations for a two-hour nationally televised event, live from the Newseum in Washington, D.C.! The event will take place on June 21, 2017, at 1 p.m. EDT. Tune in to watch on NASA TV or see a livestream of the event on NASA.gov. For the first time in 99 years, a total solar eclipse will cross the entire United States on Monday, Aug. 21, 2017. Over the course of 100 minutes, 14 states across the United States will experience over two minutes of darkness in the middle of the day. Additionally, a partial eclipse will be viewable across the continent. For more information, visit https://eclipse2017.nasa.gov/save-date-june-21-2017. Are you looking for more information about the upcoming eclipse? Visit the 2017 Solar Eclipse website at https://eclipse2017.nasa.gov/. Please direct questions about the press conference event to https://eclipse2017.nasa.gov/contact-us. The new quiz will be available today at 2 p.m. EDT and will be posted at http://climate.nasa.gov/quizzes/misr_quiz_29. Prize submissions for perfect scores will be accepted until Wednesday, June 28, at 7 p.m. EDT. Happy sleuthing! Before the advent of photography, astronomers tried to sketch the fleeting shape of our sun’s outer atmosphere called the corona. This ghostly halo of light had been seen for centuries by naked-eye observers at the height of most total solar eclipses, but little was known about its shape and extent or how these changed with time. On Aug. 21, 2017, the United States will experience a total solar eclipse once again. Along a path 60 to 70 miles wide stretching from Oregon to South Carolina, observers will be able to see a total solar eclipse. Others across North America will see a partial eclipse. To prepare for the big event, NASA wants you to predict what the corona will look like! Share your drawings with NASA via the NASA Solar Eclipse Flickr page (https://www.flickr.com/groups/nasa-eclipse2017/) or via Instagram using #Eclipse2017Corona. For more information about the project and to see what past coronas have looked like, visit https://eclipse2017.nasa.gov/predict-corona-art-project. Please submit questions about this opportunity to https://eclipse2017.nasa.gov/contact-us. This Week’s Question: How Do Artists Visualize Distant Worlds That Can’t Be Seen? What would it be like to explore the surface of a distant alien world? Find out with Exoplanet Surface Visualizations in 360 Virtual Reality! Grab your virtual reality headset and explore the surface of TRAPPIST-1d or a moon of Kepler-16-b. Less Than 10 Weeks Until the Total Solar Eclipse! Looking for fun things to do as you prepare for the total solar eclipse on Aug. 21? 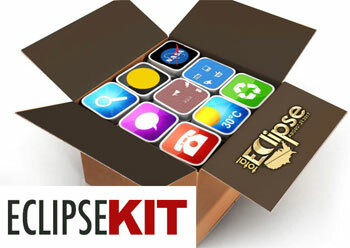 The Eclipse Kit has activities suitable for families, community outreach and summer camp programs. People of all ages can learn about the sun, moon and eclipses through fun, hands-on STEM activities. The kit includes an activity guide as well as a number of online extension resources. **NEW** Journey to Mars: Is There Water on Mars? Join the GAVRT team for a two-day training institute for educators. Attendees will learn about radio astronomy, current science campaigns available through the GAVRT program, and how the telescopes used by the program operate. Members of the Juno mission team will attend to share highlights from their mission that is studying Jupiter. And attendees will take part in question and answer sessions with professional radio astronomers. –June 26-27, 2017 — Howard B. Owens Science Center in Lanham, Maryland. –June 28-29, 2017 — National Air and Space Museum’s Steven F. Udvar-Hazy Center in Chantilly, Virginia. Registration for both sessions closes on June 16, 2017. For more information, visit http://www.lewiscenter.org/documents/Global%20Programs/east_coast_institute.pdf. This Week’s Question: Why Is the Ocean Important? We live on land, but the ocean covers 70 percent of Earth’s surface! To find out more about this important part of our planet, visit https://climatekids.nasa.gov/ocean/. Tomorrow is World Oceans Day! Commemorate the day in your classroom with the Ocean World: Earth Globe Toss Game. This classroom activity for grades K-6 features a hands-on game that challenges students to collect data on whether there is more surface water or more land on Earth. Thinking of making a pinhole projector to observe the solar eclipse on Aug. 21? 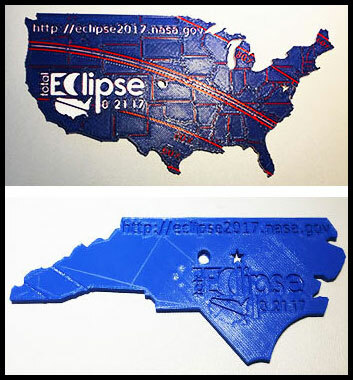 Why not make your own 3-D-printed pinhole projector in the shape of the United States or a U.S. state? Find out how at https://eclipse2017.nasa.gov/3d-printable-pinhole-projectors. Two NASA missions, exploring areas at opposite ends of the solar system, released multimedia resources that can help bring recent events into the classroom. On May 31, 2017, NASA announced the renaming of the Solar Probe Plus spacecraft — humanity’s first mission to a star, which will launch in 2018 — as the Parker Solar Probe. This historic mission will revolutionize our understanding of the sun. The mission is named for astrophysicist Eugene Parker, who discovered the solar wind and has made other profound contributions to our knowledge of the sun. The Parker Solar Probe will plunge through the sun’s atmosphere, closer to the surface than any spacecraft before it, and provide humanity with the first-ever close-up view of a star. Check out the new “Parker Solar Probe Trailer” video at http://solarprobe.jhuapl.edu/Multimedia/Videos.php#Mission-Videos. Over the next few weeks, NASA’s New Horizons mission team is getting a rare sneak peek at the probe’s next flyby target — the ancient Kuiper Belt Object 2014 MU69. During this timeframe, MU69 will occult — or block the light from — distant stars. To observe the “stellar occultation,” on July 3, more than 50 team members and collaborators have deployed along projected viewing paths in Argentina and South Africa, fixing camera-equipped portable telescopes on the occultation star and watching for changes in its light that can tell them a lot about MU69 itself. For a July 10 occultation, the team gets help from above by adding the powerful 100-inch (2.5-meter) telescope on NASA’s airborne Stratospheric Observatory for Infrared Astronomy (SOFIA). Enlisting SOFIA, with its vantage point above the clouds, takes the bad-weather factor out of the picture. The plane also should be able to improve its measurements by maneuvering into the very center of the occultation shadow. An occultation on July 17 will be covered through a ground-based observation campaign from Argentina. For more educational resources relating to the New Horizons mission, visit http://pluto.jhuapl.edu/Participate/teach/Activities.php. Looking for more? Check out the Explore NASA Science website at https://science.nasa.gov. To view the site in Spanish, visit http://ciencia.nasa.gov. **NEW** Journey to Mars: Red Planet — Read, Write, Explore! Are you looking for ways to prepare students for STEM-related career opportunities? Do you want to spark their interest in pushing the boundaries of technology and innovation? Right now, NASA’s fleet of Mars robotic explorers is paving the way for human exploration of the solar system in the coming decades. Have your students join NASA in preparing for a monumental journey of a lifetime — to Mars!